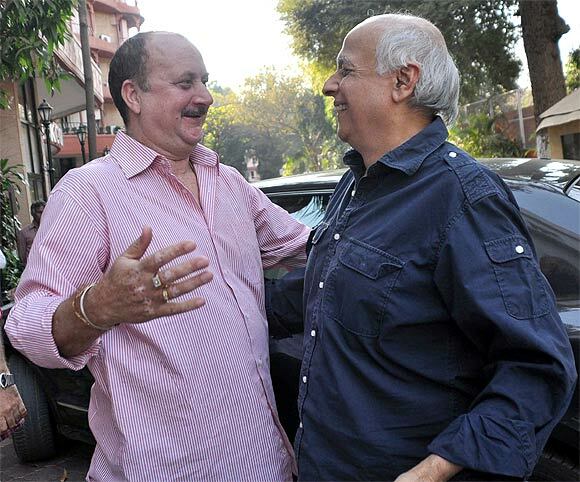 Anupam Kher was on his way to Goa to attend David Dhawan's son Rohit's wedding when his younger brother Raju broke the news of their father's death to him. The actor headed back to Mumbai immediately for the last rites. On February 13, the family gathered with friends and well wishers to 'not mourn' the actor's father Pushkar Nath Kher, who was described as a people's person. The mood was light and visitors turned up in colourful clothes and smiles. Many were heard praising the novel way in which the prayer ceremony was organised. Anupam Kher tweeted, "Today is my father's Prayer ceremony. I know he wants us to celebrate life.So there will be Rock band playing in His memory at d ceremony." The actor also tweeted that he'd worn his most colourful shirt for the occasion. 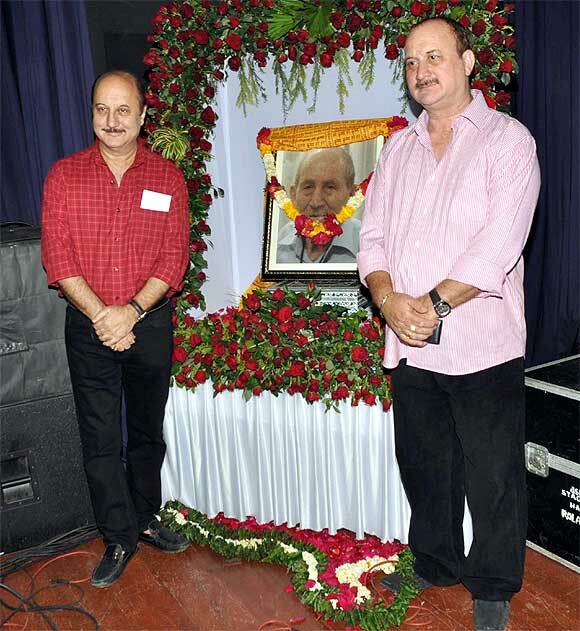 Here, he smiles as he stands next to his late father's photograph along side actor brother Raju Kher. 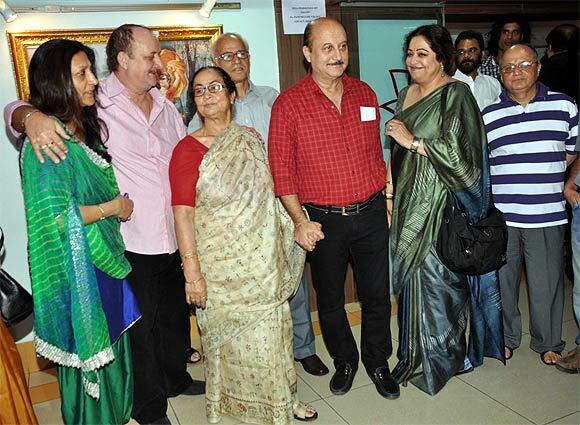 The actor posed for pictures with his family -- wife Kirron, mother Dulari, younger brother Raju and his wife Reema. 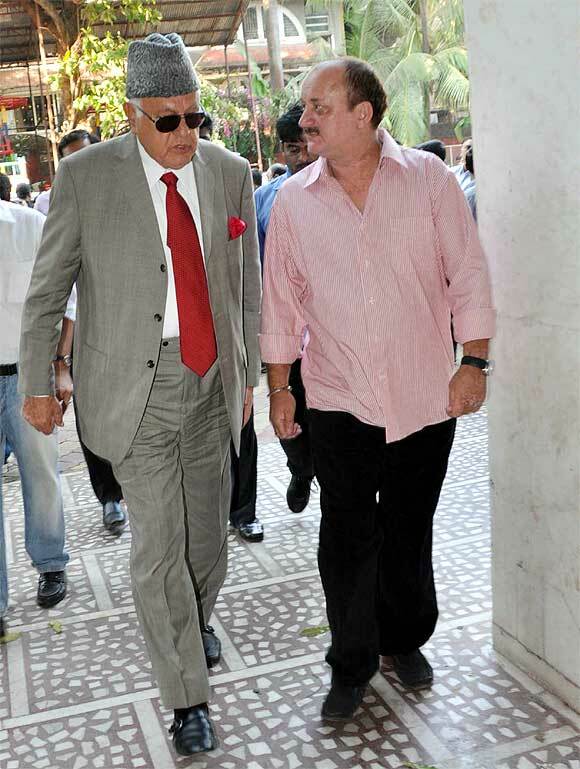 Jackie Shroff was recieved by Raju Kher as he arrived for the prayer ceremony. 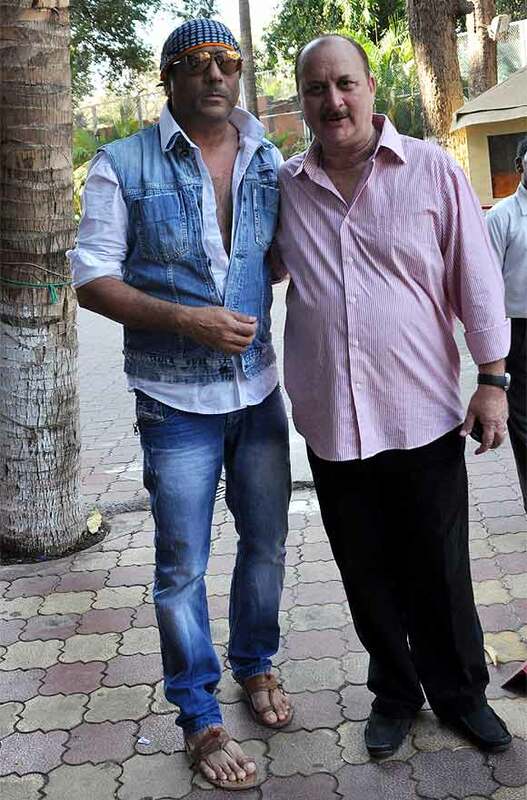 Mahesh Bhatt was in his element as he arrived and was greeted by Kher. Anupam Kher's second Hindi film, the critically acclaimed Saaransh, was directed by Bhatt. Former Jammu & Kashmir chief minister Farooq Abdullah was among the guests. 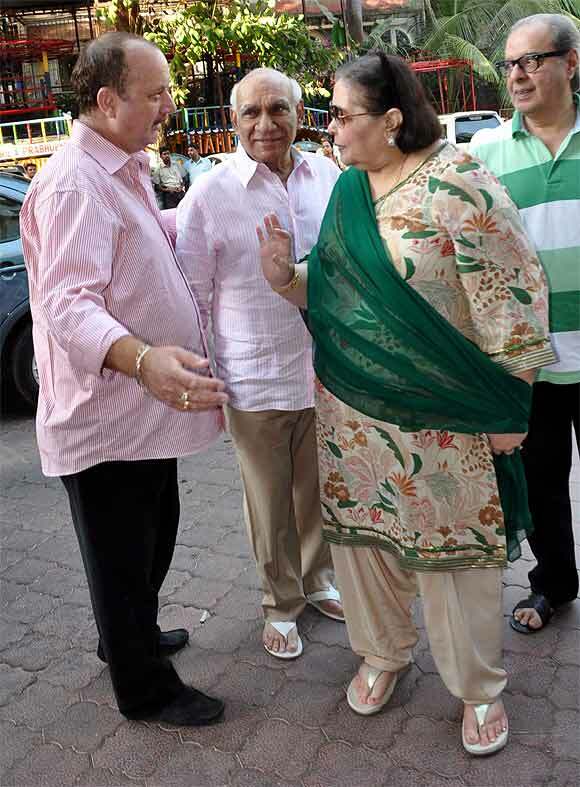 Kher and family are Kashmiri Pandits. 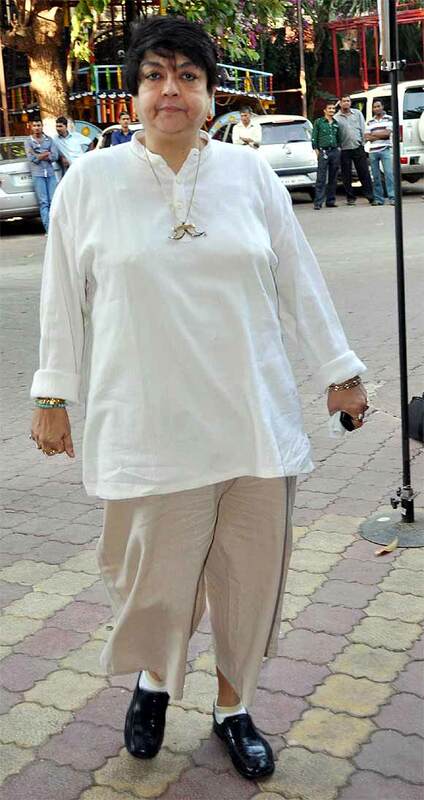 Filmmaker Kalpana Lajmi made a rare public appearance for the occasion. 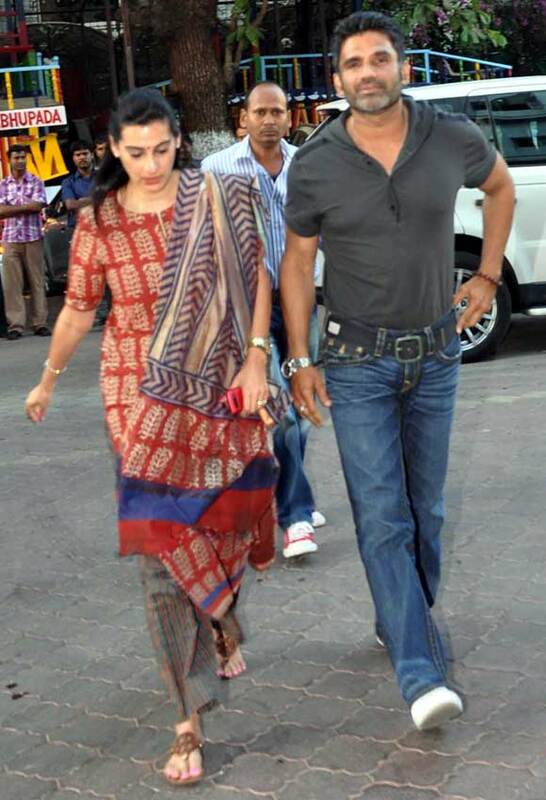 Actor Suneil Shetty arrives with wife Mana. 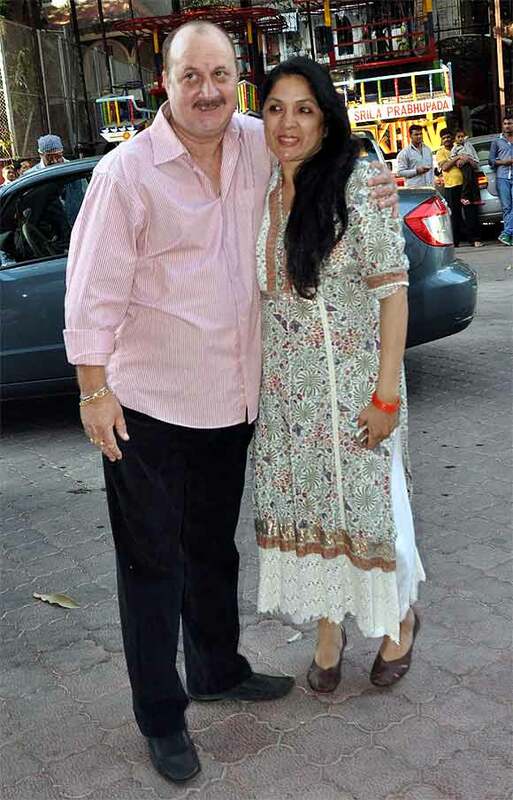 Producer Yash Chopra was accompanied by wife Pamela. Anupam Kher has acted in many Yash Copra films including Darr, Chandni and more recently, Dil Bole Hadippa. Actress Neena Gupta arrives for the prayer ceremony. Actresses Tabu and Gul Panag also turned up for the ceremony. 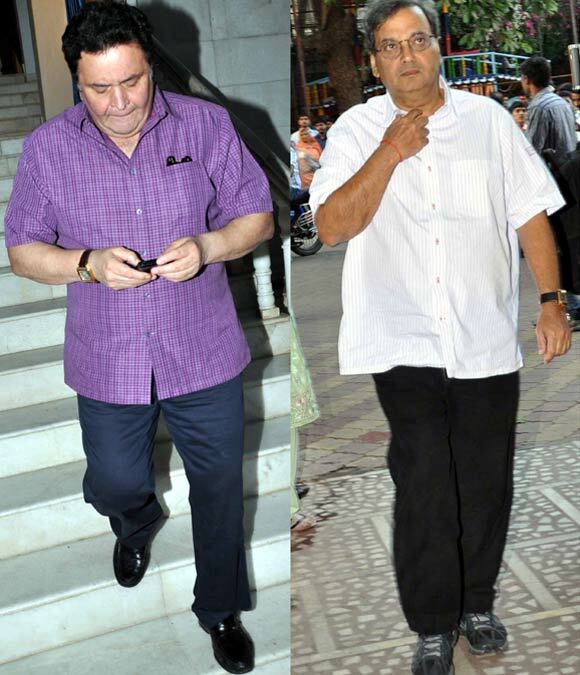 Rishi Kapoor and filmmaker Subhash Ghai were spotted at the prayer ceremony. 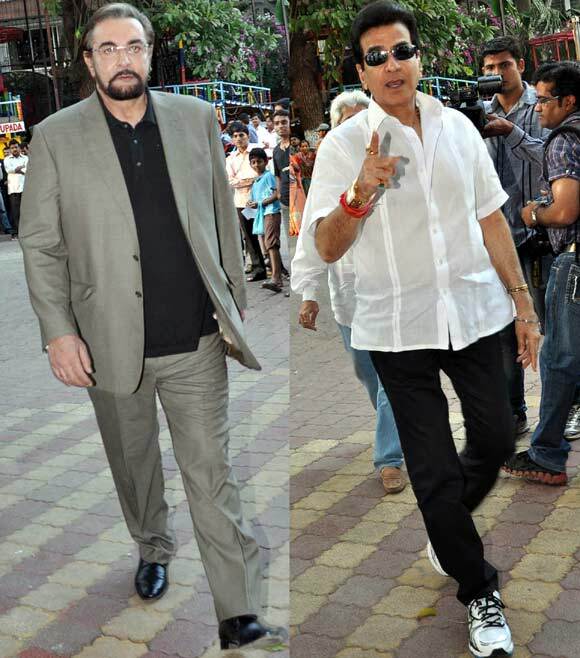 Veteran actors Kabir Bedi and Jeetendra were among the invited guests.